Holy mackerel, what a show!! 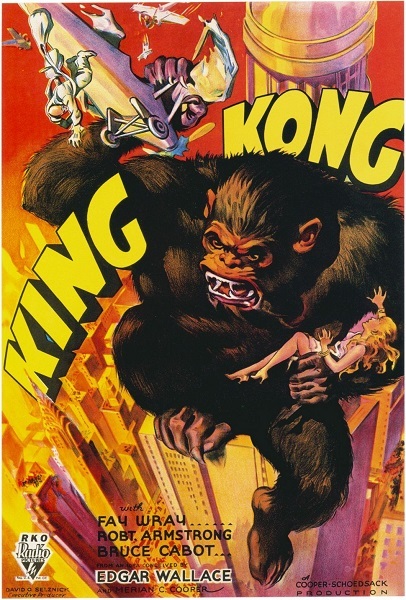 We've reached episode 50 and what better way to mark this milestone that to watch a monster classic like the original King Kong from 1933? Listen in as Tim waxes nostalgic about his childhood as an ape, Corinne expresses concern for the welfare of both Fay Wray and her onscreen counterpart Ann Darrow, and both discuss the lasting impact the movie has had on both the development of special effects and cinema in general. Warning: Contains explicit language, spoilers, and plesiosaurs pretending to be snakes. Looking forward to Kong taking on Godzilla again? Have a view on which monsters should serve as our Savior Kong's twelve apostles? Want to describe the gruesome punishment that Carl Denham so richly deserves? Leave a comment and keep the conversation going.